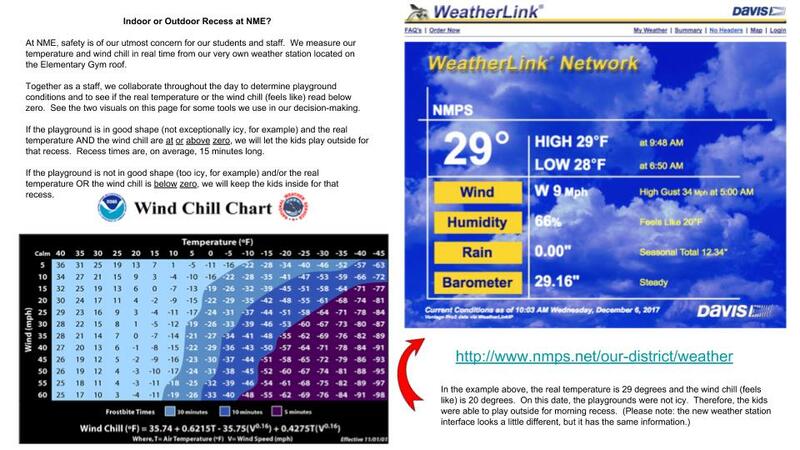 ​We are fortunate to have a weather station right here at NMPS. Teachers, students, and staff use this weather station for educational, practical, and recess decision-making purposes. ​Enjoy tracking your local weather -- right from the campus of NMPS!